Welcome to Gondals Press your partner in the wide world of printing. Established in 1938, Gondals Press offers you outstanding service from our team of dedicated professionals, utilising the latest technologies available to give you the very best solution to your printing needs. Our complete range of in-house services can complement your next project. 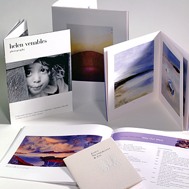 They range from design, layout, printing and pre-press printing and binding. Our team members pride themselves on their proven reputation for the highest level of quality and service on jobs of all sizes and from small runs through to large runs. Gondals Press has been associated with some of India’s most respected companies, MNC’s and advertising agencies as well as creative artists, photographers and designers. Today, Gondals Press is the preferred printer for anyone seeking excellence in print.